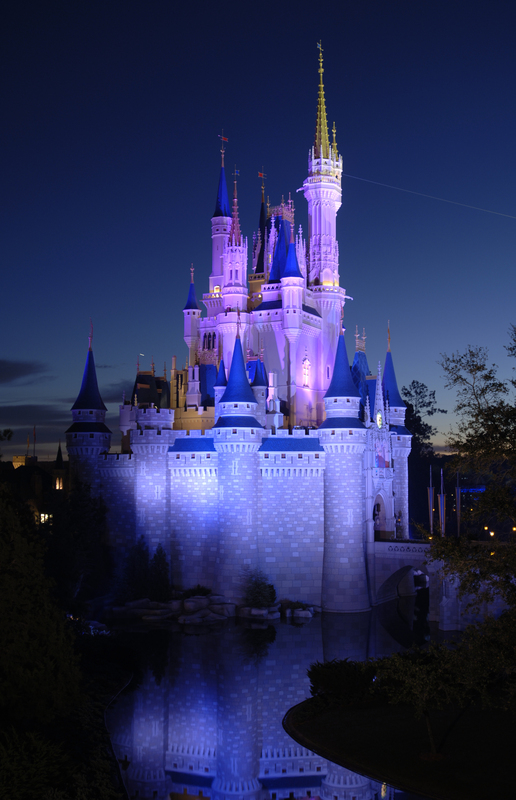 “What should I bring with me into the Disney World parks?” This is a common question. Our motto here is “come prepared,” because you can always save money and avoid getting wet, cold, sunburned or thirsty by bringing a few essential items with you. Forms of payment: Cash, credit card, Key to the World card or Disney gift card — whatever it is you’re using for food and souvenir purchases. Just don’t bring your ENTIRE wallet or your checkbook. That way, if something gets lost, it won’t be a huge hassle to get things canceled out and replaced. Health insurance card: You never know what could happen. Carry your health insurance card and the information for your family members, too. Laminate them if you plan on going on water rides. Cell phone: If you’re a smartphone addict, follow these tips from Disney EveryDay.com to adjust the settings on your phone for optimum battery life. Or take it a step further and invest in a smartphone case with extra battery life. Camera: If you want more pictures than what you can snap on your cell phone, go ahead and bring your camera. Make sure it’s charged up, and don’t forget that memory card! Or, you can use Disney’s PhotoPass service, in which case you’ll need to keep your PhotoPass card with you for your entire visit. Sunscreen and lip balm: Even cloudy days harbor potential sunburns at Disney World. Invest in a good sunscreen for your family with a high SPF to keep the UV rays at bay. There’s even some new sunscreens on the market that work even when skin is already wet – genius! And don’t forget some lip balm with SPF, too. Sunglasses, hat and/or visor: Whatever you require as additional sun protection. If you’re not wearing a hat, remember to put sunscreen on the part of your hair! Water and snacks: Yes, you can bring your own food and drink into Disney parks — just no glass containers or alcohol. Be sure to bring a water bottle that you can refill at the numerous water fountains around the parks. Poncho: Small, packable ponchos are available at your local discount store. Pack one for everyone — Florida is known for sudden, quick showers. Sweatshirt or light jacket: During the cooler months, or even during the middle of summer in a frigid restaurant, an extra layer can come in handy. Backpack or tote: Ladies, a shoulder bag that can allow you to go hands-free will be much better than a hobo-style bag. Your shoulders will thank you! We even hear that fanny packs are back in style. Hmmm…. This entry was posted on Tuesday, April 26th, 2011 at 7:42 pm	and is filed under Planning, Theme Parks. You can follow any responses to this entry through the RSS 2.0 feed. You can leave a response, or trackback from your own site.